President Emmerson Mnangagwa has called for a national dialogue with opposition parties and religious and civic leaders. Mnangagwa had been due to attend the World Economic Focum in Davos but broke off his trip to return home. Writing on Twitter – just after the country’s high court ordered the government to restore internet access – Mnangagwa said the controversial decision to raise the fuel price had not been taken lightly. 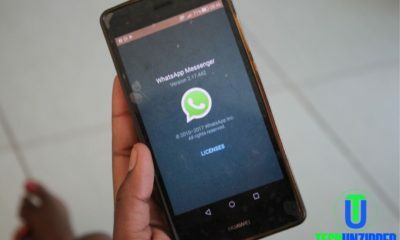 Zimbabwe’s High Court ruled on Monday that the government of President Emmerson Mnangagwa had no right to shut down internet connection to parts of the country. It has ordered the immediate and full restoration of internet access, shut down in part during unrest against Mnangagwa’s administration. Some parts of the internet had been restored over the weekend after a shutdown last week, but social media and messaging apps like Facebook, Whatsapp, and Twitter remained blocked. The capital Harare was slowly returning to normal on Monday after weeks of protests over a massive increase in the price of fuel, making gasoline more expensive in Zimbabwe than anywhere else on earth. Government officials have said that 12 people were killed in clashes between demonstrators and police, but NGOs have put the death toll higher. More than 600 people have been arrested, including high-profile opposition figures like trade union leader Japhet Moyo, who was charged with subversion on Monday for his role in organizing a general strike last week. President Mnangagwa has announced that he will cut short his international trip, skipping the World Economic Forum in Davos, Switzerland. He is currently in Kazakhstan and had been visiting Russia when the violence erupted last week. 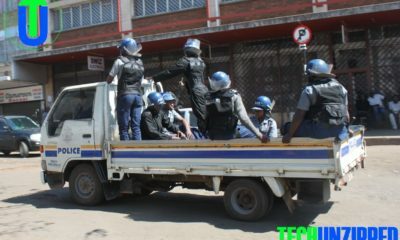 Mnangagwa’s government has been criticized by the UN for its “excessive use of force” in cracking down on the unrest. Although many hoped that Mnangagwa, an ally-turned-critic of former strongman Robert Mugabe, would change the culture of authoritarianism in Zimbabwe, these hopes have been dashed in recent weeks.